For Life's Most Meaningful Celebrations. Hi! I'm Meg Bosse (pronounced "bossy")! I am a calligrapher and and event planner located in Ann Arbor, Michigan. 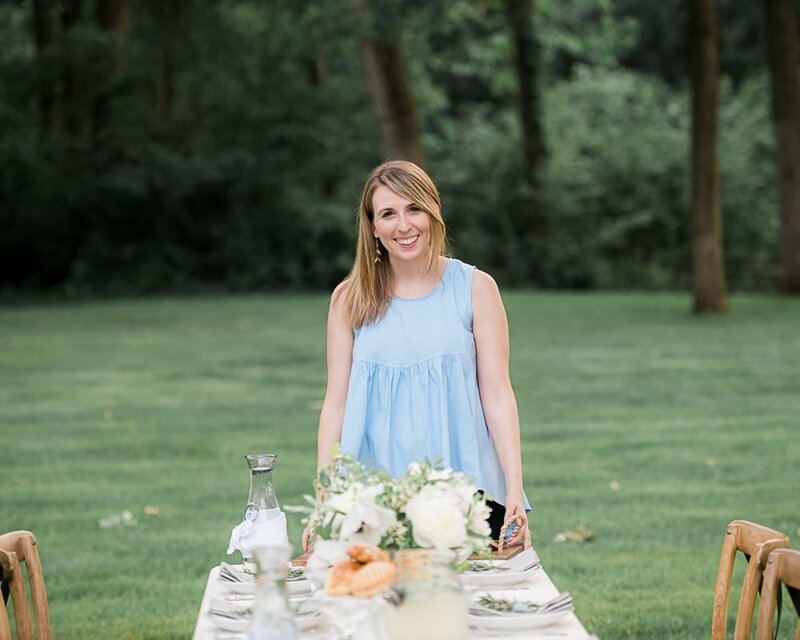 I am passionate about designing and addressing envelopes for weddings and special occasions, coordinating meaningful events, and finding ways to celebrate every single day. I care deeply about creating a quality and high end product for my clients for their once in a lifetime events and also about making their lives as easy as possible through my streamlined process. Would you like to learn more about me? Head to my ABOUT page to find some fun facts! Sign up with your email address to receive calligraphy tips, wedding inspiration and class alerts. You’ll also get a FREE “Trust Your Gut” print that you can download and print or use as a phone background! Thank you for joining my mailing list! Please check your inbox for your free print! If you don’t receive it, please check your spam or promotions folder.